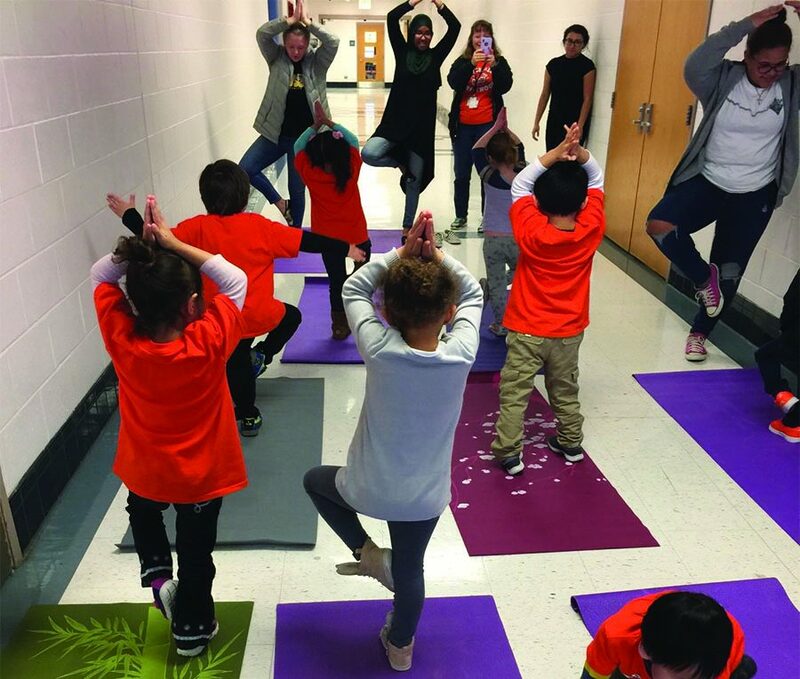 Children perform yoga with RHS students. The students must plan three activities per week for the children. It appears to be the typical high school classroom, but walk past the desks and promethean board, and watch as the room suddenly transforms. It becomes filled with cubbies, bright bulletin boards with a letter and theme of the week, puzzles, blocks and even a class pet rabbit. This is the child development classroom, home to the Rockville Rompers Preschool and the place where many RHS students have said they found their passion for teaching. RHS is one of 20 high schools in the county that offers the early childhood development program, a four-year program consisting of Child Development 1, Child Development 2, Child Development 3 and the Child Development Internship, which aims to provide students with the opportunity to learn what it takes to be a teacher in a real-life setting. MCPS releases both a pre-K and high school curriculum, but each school is given leeway to set up their program the way they would like. 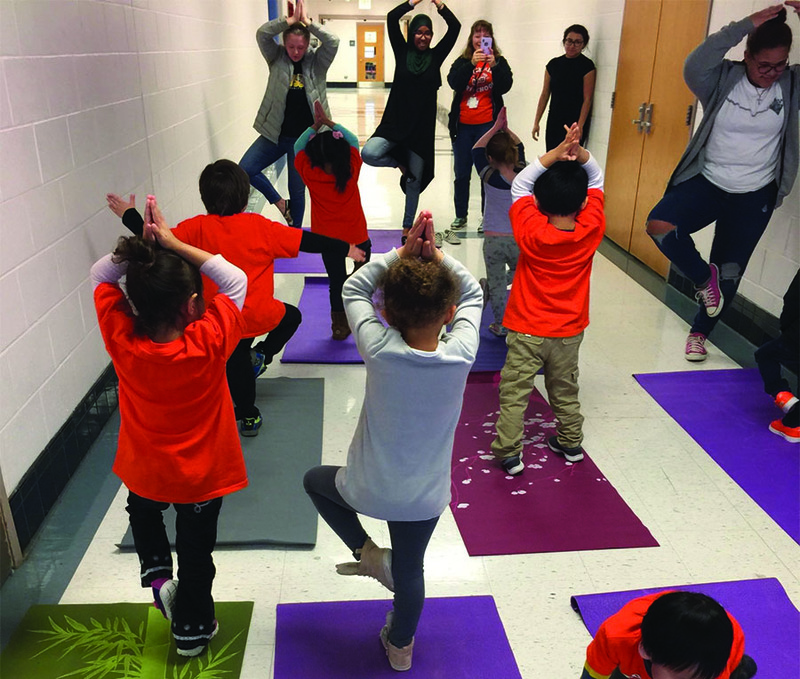 At RHS, there is a four-year-old program in the morning and a three-year-old program in the afternoon, so students in second, third and fourth period teach the four-year-olds and students in sixth, seventh and eighth period teach the three-year-olds. But regardless of which preschoolers they are teaching, all students participate in a four day rotation of planning, observation, research and teaching. On Wednesdays when the preschool is closed, students learn about stages and theories of human development from birth through adolescence and ways they can improve their teaching skills. It isn’t until the fourth course, the Child Development Internship, when students apply the knowledge and skills they’ve learned in previous years to an authentic experience outside of the preschool. They begin preparing toward the end of their third year, taking an interest survey and collaborating with professionals in a related career field to set up their internship for the upcoming year. Rockville has one of the bigger, completer programs in the county, and there are typically about 20 kids in the internship class each year, James said. Though interns no longer teach in the preschool, they participate in a seminar once a month where they go over the things they’re learning and are later required to write their own educational philosophy based on what they have learned. James also observes each of the interns once a marking period. Senior Brian Reyes took the class freshman year because he always thought he was good with kids. But, he had no idea of the impact that the kids would have on him, ultimately leading him to discover a new path for his future. He is currently in his fourth year of the program, interning for RHS physical education teacher, Frank Weaver, and plans to major in secondary and physical education at Salisbury University (SU) next year. Senior Arisa Medley began the program her freshman year, but unlike Reyes, knew from the beginning that she wanted to be a teacher. 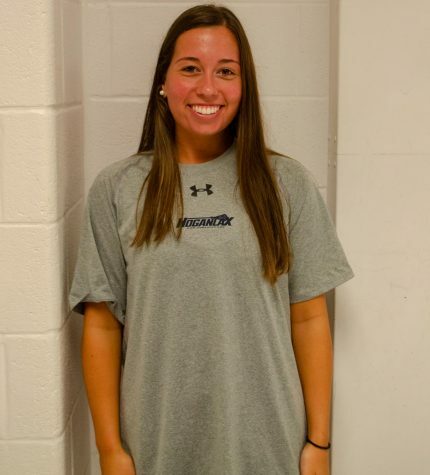 She currently interns at the Tikvat Jewish Preschool and plans to major in early childhood education next year. Upon completion of the program, students receive the 90 + 9 Clock Hours Certification, which fills the “pre-service training” requirement to work in a Maryland state child-care center, internship opportunities and up to nine credits that can replace the foreign language graduation requirement. Now, as most high school seniors are stressing over which college to go to and what to major in, thes seniors in RHS’ Child Development program have already found their passion and future path in life: teaching.